Since its inception, the FWMBCC has emphasized two major principles: economics and education. Our dedication to create a vibrant economic environment can be seen through our rich and diverse projects. Find or submit your business bid needs here. Our FamTour familiarizes prospective businesses with our area and shows them the benefits of bringing their business here to Fort Worth. This includes our very competitive Economic Development Incentive Package. Find job opportunities with our partners and other great companies looking for talented, motivated and creative individuals. Our construction department is a major hub for information surrounding construction and procurement development. 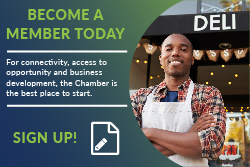 The Chamber serves as advocacy organization for contractors and suppliers of business products. Through our work we hope to increase minority participation in our city and surrounding areas plus build the businesses that are based in the Fort Worth Metropolitan area.